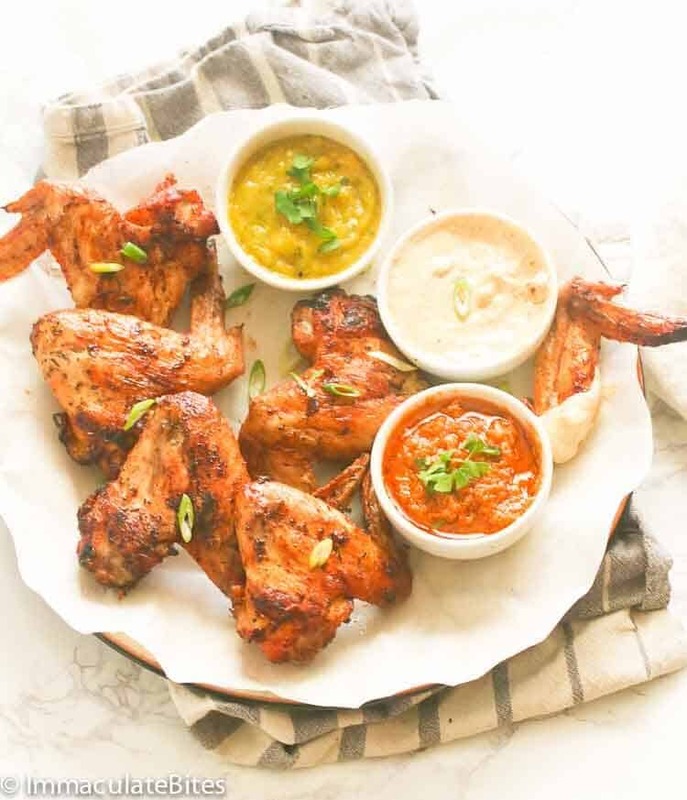 Grilled Chicken Wings – beautifully charred chicken wings with the flavors of thyme, onion and garlic powder, paprika, cayenne pepper and brown sugar. Grilled to perfection for the ultimate outdoor finger food! 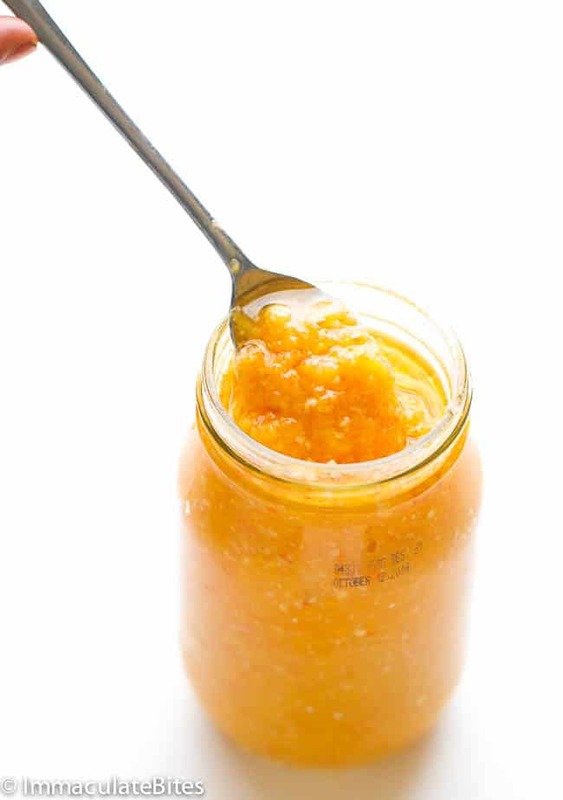 So good; you want to make a big batch of it. It’s officially the first day of summer! But I think I’ve already been celebrating the summer sunshine since spring. And you know what summer is all about? Grilled hotdogs and sausages, sandwiches, fruit salad, ice cold drinks and smoky meat. Don’t you wish it’s summer year-round? Grilled smokey and juicy meat makes summer the best time for happy hour and backyard barbecue party. 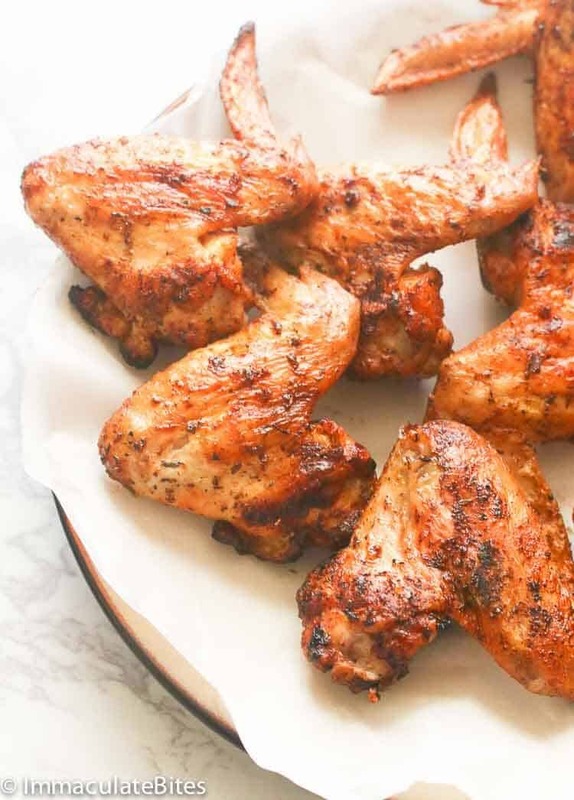 And that party wouldn’t be complete without the best meat to pair with your boozy drinks – chicken wings! 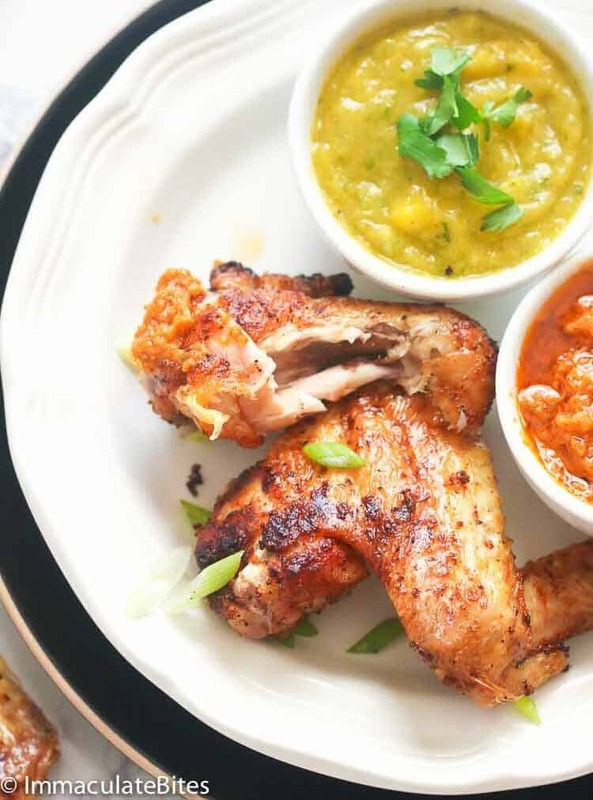 These grilled chicken wings here makes a great pair with my homemade African Pepper Sauce primarily made with habanero, garlic, onion, basil and other spices. Sparkling HOT! Perfect for those heat seekers out there! 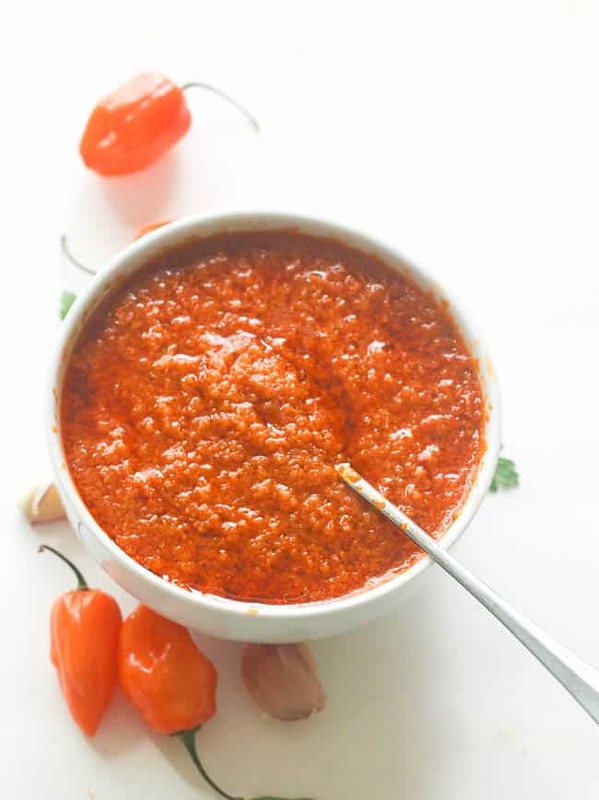 If you want a bit of fruity touch to your sauce, then may I suggest this Caribbean Pepper Sauce here? 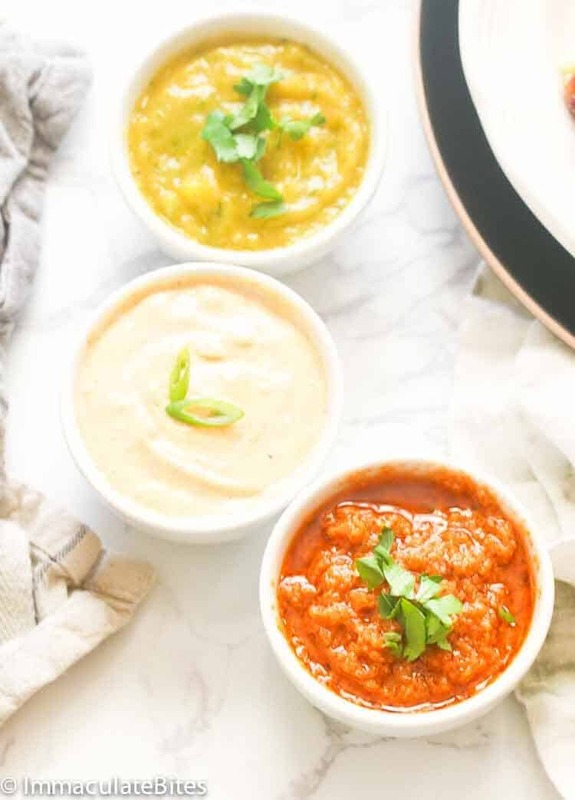 It has the most amazing combination of sweet and spicy flavors from mango and pineapple, mustard and habanero and other herb and spices that will keep you wanting for more. A tropical-themed sauce fitting for this summer season! And how can I forget this Southern favorite mayo-based party condiment – Remoulade Sauce? 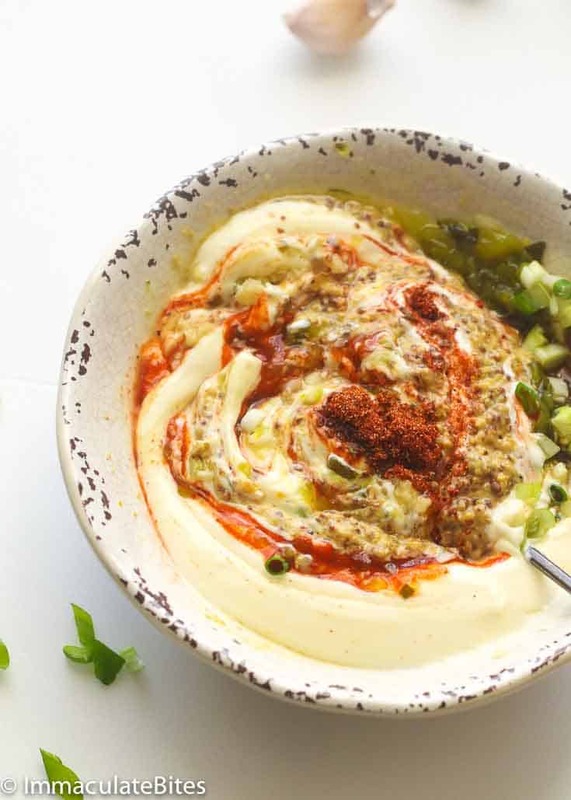 It goes well with almost anything fried and it’s creamy, tangy and spicy. A great dipping sauce for party appetizers and even as a salad dressing! Now you’re only job here is to decide what sauce to pair with this well-seasoned grilled chicken wings. 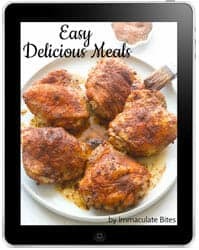 But even without the sauce, these bad boys here are guarantee to win your heart with its explosion of flavors packed in every inches of chicken meat. Now tell me if there’s any way that you could pass up something as easy and insanely good as this. It’s summer folks, go fire up the grill and grill like there’s no tomorrow!! Make sure to dry well the chicken with paper towel to ensure crispy skin. Lightly oil the grilling surface to avoid flare ups and for the skin not sticking up on the grill. Keep a close eye on the grill. 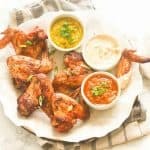 Grilled Chicken Wings - beautifully charred chicken wings with the flavors of thyme, onion and garlic powder, paprika, cayenne pepper and brown sugar. Grilled to perfection for the ultimate outdoor finger food! 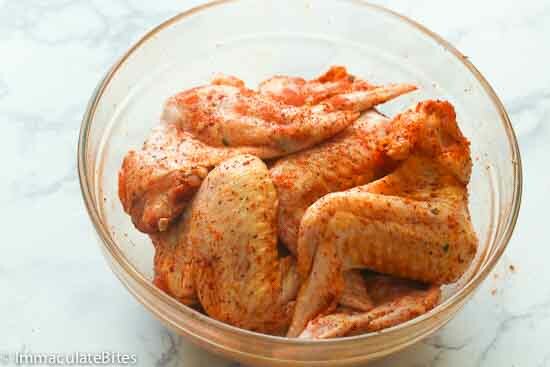 If short on time, dry wings with paper towel or kitchen towel, then proceed with the next step. 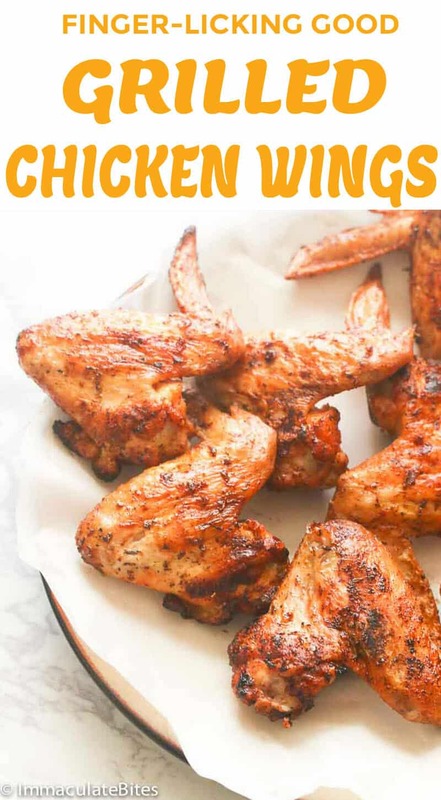 Place the chicken in a large plate or bowl, lightly salt, then mix with spice blend and drizzle with oil (to prevent chicken from sticking to the grill). When you are ready to grill, wipe down grill and lightly oil. Preheat for medium heat. Or if using charcoal fill it half full. Let it light up for about 20 or more minutes. 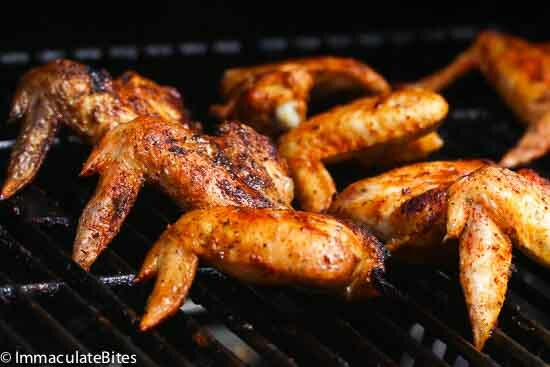 Place chicken wings on the grill. Let them grill for about for approximately 20-30 minutes, flipping every 3-4 minutes until they are golden brown. Keep an eye on the wings cause they turn to flare up a bit. Try to move it ,around when flare ups occur. 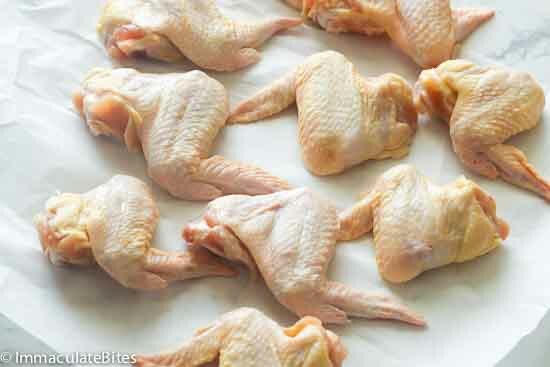 Wash Chicken Wings, if time permits, let it dry out in the fridge for a couple of hours (about 3 or more). Do not cover. 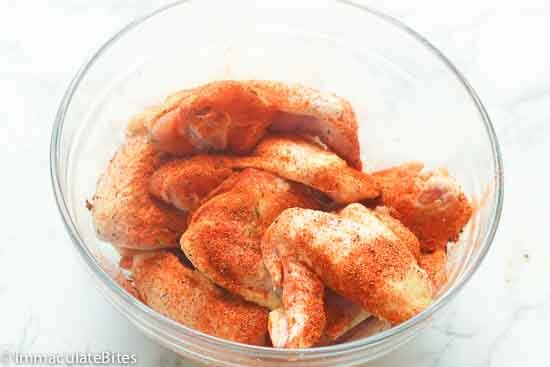 If short on time, dry wings with paper towel or kitchen towel, then proceed with the next step. Place chicken wings on the grill. Let them grill for about for approximately 20-30 minutes, flipping every 3-4 minutes until they are golden brown. Keep an eye on the wings cause they turn to flare up a bit. Try to move it around when flare ups occur.